Featuring a full-color insert section containing images of the first 50 Hard Case Crime covers! 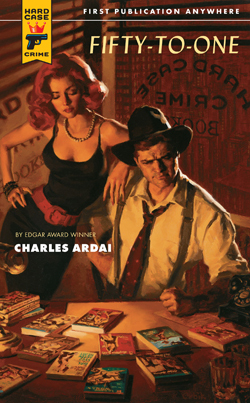 Publishers Weekly on FIFTY-TO-ONE: "High-speed action and nonstop thrills highlight the 50th novel from Hard Case Crime...Ardai sets an impressive standard for the new wave of pulp crime fiction...Breathless action and entertaining characters make this a page-turner from start to finish." "A very smart and very cool fellow." but, I hope, less peculiar." right now? Ardai’s own books."